It's Facebook Fridays! for February 20, 2015, and we've got a plan to create a spiritual wall of flames that will hold back all the harm that your adversaries can devise. 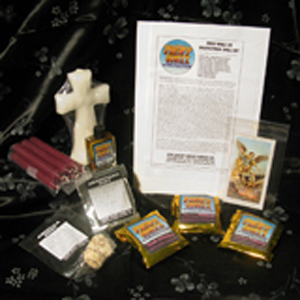 The Lucky Mojo Curio Co. is hosting a random drawing to give away 3 great Fiery Wall of Protection spiritual supply prizes: A Fiery Wall of Protection Spell Kit complete with all ingredients and full instructions to call up your guardians and drive evil ones outside your circle of safety, an authentic Lucky Mojo Fiery Wall of Protection Mojo Hand to carry on your person, and a dressed and blessed Fiery Wall of Protection Vigil Candle to set a watch on your personal space. 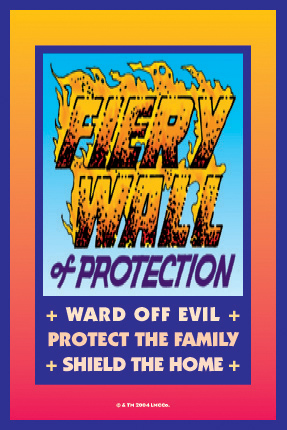 First thing tomorrow morning, we will select THREE winners at random, announce their names here, and ask them to message this Facebook Page with their mailing addresses, so we can send them their FREE Fiery Wall of Protection products. Thanks, Ernie, for posting this. Hope you all go on over and enter the contest, folks! We have a winner! In fact, we have 3 lucky winners! Our Facebook Fridays! winners for February 20, 2015 are: Cassie Forrest, Irma Ramos, and Al Cummins.